Sweet Sentiment: OMG! I'm on the DT! OMG! I'm on the DT! Guess what?!?!?! I was asked to become a permanent DT member for KKS!!!! I can't even explain how elated I am!!!!! So..... this Saturday challenge is my very first challenge as a Krafty Girl! Wooohoooo!!!! Frugal Friday specials are up!! These sets are on sale, but only for this weekend!! Happy shopping! 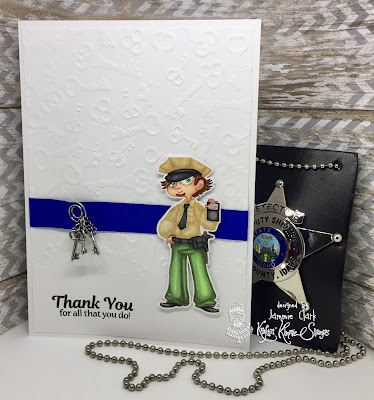 I simply used white card stock and a Key embossing folder from the Paper Studio. The keys are little silver charms I found in the bottom of my craft bin (seriously, I didn't even know they were there!) The little circle clip is one that Kimmie sent to me with some Krafty Goodies. 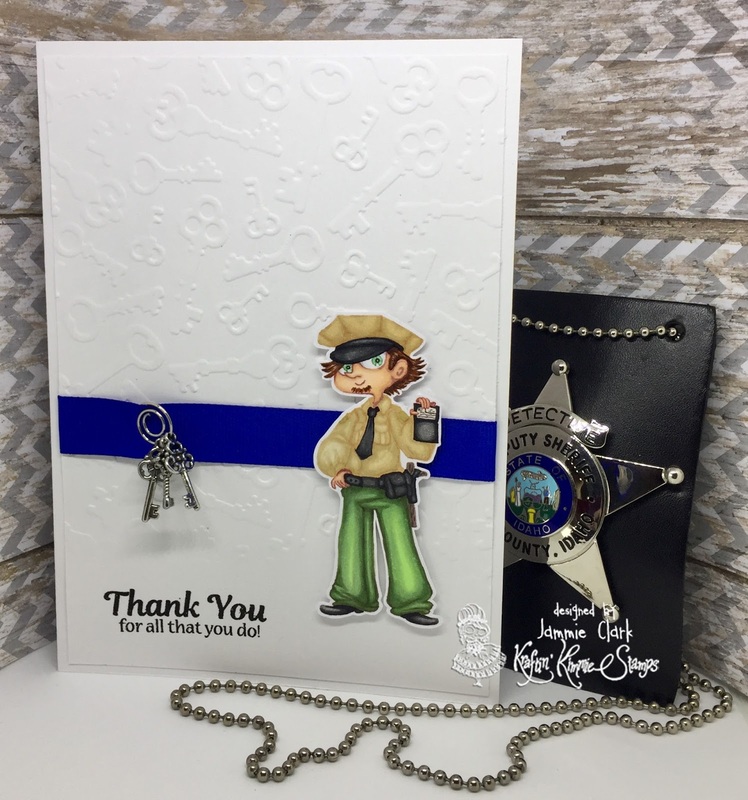 I used my Copics to color up this little deputy. 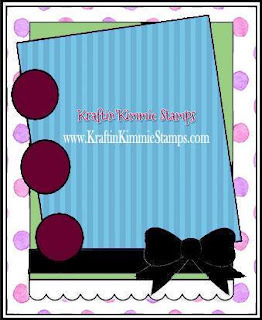 Now create a card, scrapbook page or altered item with a Kraftin' Kimmie Stamp or any other stamp and be sure to use our THEME as a starting point for your creation!!! You will have until March 10th at 11:55 pm EST to get your entries in!